These 18K two-tone gold earrings offer classy style with unique embellishments. 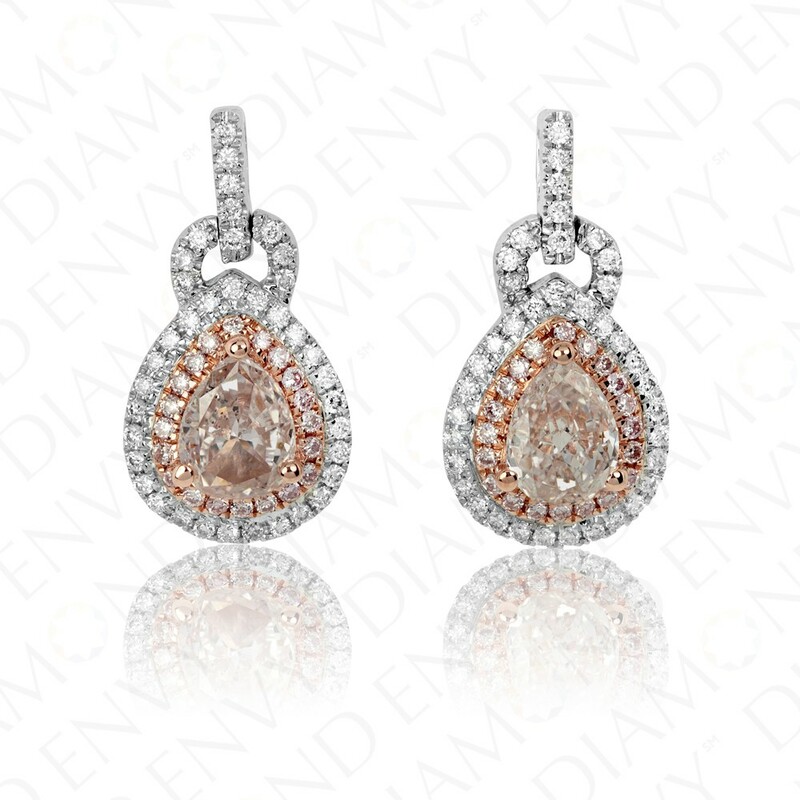 They feature a pair of SI1-SI3 pear-shaped Fancy Light Brownish Pink diamonds framed by double halos of round accent diamonds. The inner halos comprise 40 SI1-SI3 Fancy Light Pink diamonds, 0.13 ct. tw., and the outer halos comprise 54 G-H SI1-SI3 diamonds. Twelve G-H SI1-SI3 diamonds adorn decorative loops while ten of the same accent diamonds grace a bail-like attachment. White diamonds total 76 pieces, 0.22 ct. tw. 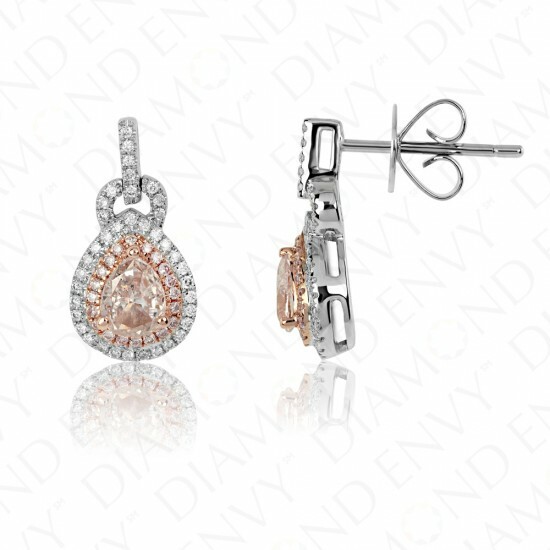 These fancy pink diamond earrings are push back style. Gold weight: 4.36 grams. House-graded.